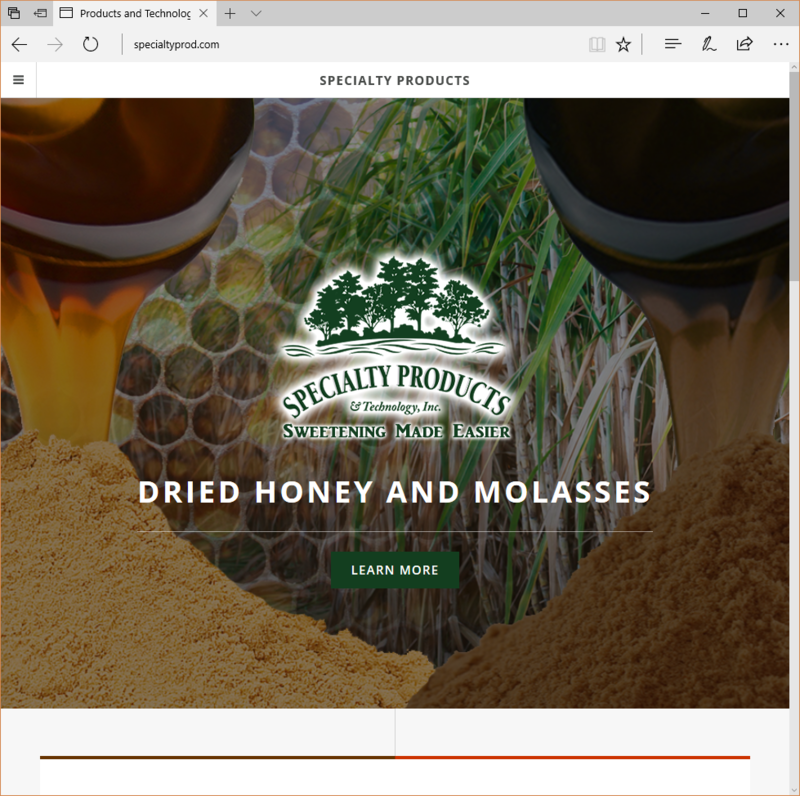 Specialty Products and Technology is a company that dries molasses and honey for the food industry. The company sells products internationally and needs a website that helps them reach worldwide customers. In 2015, the company decided it needed to refresh its website design and structure. I was contracted to build a new website for the company, one that was responsive and which accurately represented the company’s brand and high quality products. Website design included design of a creative landing page that encapsulated the product offerings and food manufacturing process of the company. Contacted Michelle Landsverk 12 years ago looking for support and direction with a business idea. She did a website for us then that worked very well and brought us a lot of traffic. When we needed to update the website in 2015, we reached out to Michelle again for the redesign. Michelle was instrumental in taking an idea all the way to a successful business operation with a wonderfully developed website and continued support.